Yep, that’s right. When it comes to puckering up, no one does it quite like they do in Alberta. At least that’s what the results of the Emervel Kissability Report uncovered. The survey asked 1,004 Canadians over the age of 18 about their smooching preferences and uncovered some pretty interesting details. For one thing, it found that those in a relationship lock lips with their partner about three times a day, and 20 per cent of respondents admitted to ending a relationship over a bad kiss. Alberta reigned supreme for most kissable province, with 88 per cent of participants saying they were somewhat or very satisfied with their last kiss. The least kissable? Atlantic Canada, though 75 percent still expressed satisfaction so Canadians, in general, seem to be a pretty kissable bunch. The survey also found that Albertans take their kissing seriously. Tied with Quebec, 22 per cent of Alberta residents under the age of 45 said that they have ended a relationship because their partner was a terrible kisser. The rest of the country averaged out at around 20 per cent, meaning one in five people Canadians have jumped ship over bad kissing. Stampeders are also twice as likely to favour a kiss without tongue (46 per cent) rather than with tongue (24 per cent). If you prefer gentle kisses, you’re right in line with two thirds of participants from coast to coast who favour soft kisses to hard kisses. Ontarians are more than six times more likely to prefer a gentle kiss to a hard kiss and Alberta took the top spot again with 81 per cent of the province opting for a tender kiss. On the other hand, Quebecers are twice as likely as Albertans to lust for hard kisses. That said, neither are in the majority, so a nice and gentle kiss is a good safe bet no matter where you are in the country. Surprisingly, facial hair is a big turn off across the board. Ontario is the least facial hair-friendly province, with 72 per cent of respondents claiming they prefer little or no scruff when kissing. West coasters are a little more chill with 61 per cent preferring no facial hair compared to the national average of 65 per cent. When you break it down by age group, the results are even more staggering. Over 80 per cent of those under age 25, said they would rather their partners be clean shaven. Guys, beards may be good for your health, but perhaps not so good for your love life. It should come as no big surprise that the French like French kissing more than the rest of Canada – close to 50 per cent of those surveyed! British Columbia also comes in above the national average at nearly 40 per cent, followed by Ontario. In Alberta and Atlantic Canada only a quarter of the population prefer kisses with tongue. When it comes to lips, about one out of five women admitted their lips aren’t as kissable as they’d like. Many wished they had softer lips, followed by fuller lips. 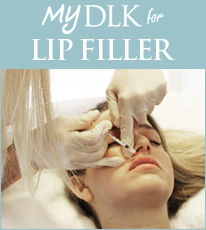 Because lips are the window to every kiss, I chatted with dermatologist Dr. Lisa Kellett to get the scoop on make sure mine were in the best state for Valentine’s Day on Sunday. She recommends using a homemade lip scrub to naturally exfoliate and soften your lips. For me, coconut oil, and scrubs made with sugar and honey have worked wonders. And a good lip balm and plumper never hurt. If you’re looking for something a little more impactful, Kellett suggests Emervel Lips, a non-surgical lip filler that enhances and balances your puckers. “The gel treatment is formulated with hyaluronic acid, a natural substance that adds fullness by softly integrating into your lip tissue,” she tells me. This type of filler not only provides volume, but also helps retain moisture and provide elasticity to your lips so you’re left with plump and kissable soft lips. Your lips are going to be getting a lot of love this Sunday. Are you ready to pucker up?